Northrop Grumman, Herndon, Virginia, has been awarded a $99,120,000 requirements type contract for nuclear safety cross check analysis, performance analysis and technical evaluation and independent validation and verification. Contractor will provide independent testing and evaluation of developer’s software and hardware for impacts on Minuteman III nuclear safety. Tests and evaluations are conducted to ensure that software meets approved specifications and nuclear safety requirements. It also ensures that software does not contain errors or deficiencies that could lead to violations of the Department of Defense nuclear weapon system safety standards. Work will be performed at El Segundo, California, and Layton, Utah, and is expected to be complete by Sept. 30, 2020. This award is the result of a competitive acquisition with one offer received. No funds are being obligated at the time of award. The Air Force Nuclear Weapons Center, Hill Air Force Base, Utah, is the contracting activity (FA8204-15-D-0001). Moog Inc., East Aurora, New York, has been awarded an $18,995,057 firm-fixed-priced requirements contract for repair and overhaul of B-2 servoactuators. Contractor will provide repair and overhaul of seven different types of hydraulic servoactuators for the B-2 aircraft. Work will be performed at Tinker Air Force Base, Oklahoma, and is expected to be complete by May 7, 2016. This award is the result of a sole-source acquisition. No funds are being obligated at the time of award. 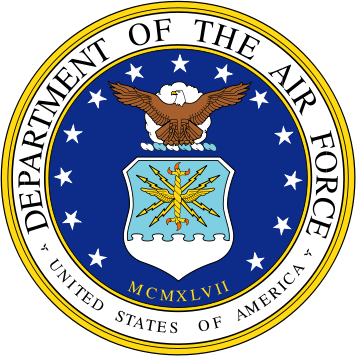 Air Force Sustainment Center, Tinker Air Force Base, Oklahoma, is the contracting activity (FA8118-15-D-0001). Boeing Defense, Space and Security – Global Services and Support Division, Oklahoma City, Oklahoma, has been awarded a $15,792,708 cost-plus-incentive-fee, firm-fixed price and cost reimbursable task order (0057) to previously awarded contract FA8106-06-D-0001 for programmed depot maintenance and modifications on the E-4B platform. Work will be performed at San Antonio, Texas, and is expected to be complete by Jan. 15, 2016. Fiscal 2015 operations and maintenance and aircraft procurement funds in the amount of $15,792,708 are being obligated at the time of award. Air Force Life Cycle Management Center, Tinker Air Force Base, is the contracting activity. Alutiiq Technical Services LLC,* Anchorage, Alaska (N39430-15-D-1660); De La Fuente Construction Inc.,* National City, California (N39430-15-D-1661); Iyabak Construction LLC,* Anchorage, Alaska (N39430-15-D-1662); Virtual Computing Technology,* Carlsbad, California (N39430-15-D-1663); and Windy Bay Services LLC,* Anchorage, Alaska (N39430-15-D-1664), are each being awarded an indefinite-delivery/indefinite-quantity multiple award contract for worldwide passive security barrier services. The maximum dollar value including the base period and four option periods for all five contracts combined is $90,000,000. The work to be performed provides for logistical support, installation, inspection, refurbishment, development, and field supervision/operation of waterfront barriers, associated moorings, passive water barriers, and related marine facilities worldwide. The work will also include engineering and design services to support passive water barrier development and installation as well as prototyping and testing of improved systems and ancillary components. Work will be performed at various Department of Defense installations worldwide. The term of the contract is not to exceed 60 months with an expected completion date of May 2020. Fiscal 2015 operation and maintenance (Navy) contract funds in the amount of $50,000 are being obligated on this award and will expire at the end of the current fiscal year. This contract was competitively procured via the Navy Electronic Commerce Online website, with five proposals received. These five contractors may compete for task orders under the terms and conditions of the awarded contract. No task orders are being issued at this time. The Naval Facilities Engineering and Expeditionary Warfare Center, Port Hueneme, California, is the contracting activity. Insitu Inc., Bingen, Washington, is being awarded $10,919,060 for firm-fixed-price delivery order 0008 against a previously issued basic ordering agreement (N68335-11-G-0009). This effort is for the procurement of site activation services, and field service representative personnel to perform site lead, pilot/operator, and maintenance personnel duties to support intelligence, surveillance, and reconnaissance services program and force protection services for the government of Iraq. It will also procure one Mark 4 Launcher, two Full Mission Training Devices and spares kits. Work will be performed in Taji, Iraq (86.5 percent); and Bingen, Washington (13.5 percent), and is expected to be completed in August 2016. Foreign military sales funds in the amount of $10,919,060 are being obligated at time of award, none of which will expire at the end of the fiscal year. The Naval Air Warfare Center Aircraft Division, Lakehurst, New Jersey, is the contracting activity. Mikel Inc., Fall River, Massachusetts, is being awarded an $8,754,060 cost-plus-fixed-fee contract modification to previously awarded contract (N00024-11-C-6295) to exercise an option for research and combat system development and processing for Navy submarines. Work will be performed in Middletown, Rhode Island (75 percent); Washington, District of Columbia (10 percent); Manassas, Virginia (5 percent); Fall River, Massachusetts (5 percent); and Honolulu, Hawaii (5 percent), and is expected to be completed by January 2016. Fiscal 2015 shipbuilding and conversion (Navy) funding in the amount of $350,000 will be obligated at time of award and will not expire at the end of the current fiscal year. The Naval Sea Systems Command, Washington, District of Columbia, is the contracting activity. I.E.-Pacific Inc.,* San Diego, California, is being awarded $6,626,000 for firm-fixed-price task order 0005 under a previously awarded multiple award construction contract (N62473-11-D-0066) for renovation and repair of Building 775 and quarter deck Building 773 at Naval Station North Island. The work to be performed includes the liquefaction assessment and compaction grouting below Building 775. The renovation of these facilities will bring each space up to code compliance and provide much-needed finish upgrades, modifications to existing layouts to optimize program requirements, and structural enhancements to ensure the safety of the users. The options, if exercised, provide for the installation of entry canopy, monument sign, new Americans with Disabilities Act and reserved parking area, new tile flooring in restrooms, coating on stairwells, and dual roll-up shades. The task order also contains six unexercised options, which if exercised would increase cumulative task order value to $6,941,000. Work will be performed in Coronado, California, and is expected to be completed by May 2017. Fiscal 2015 operation and maintenance (Navy) contract funds in the amount of $6,626,000 are obligated on this award and will expire at the end of the current fiscal year. Five proposals were received for this task order. The Naval Facilities Engineering Command, Southwest, San Diego, California, is the contracting activity. General Atomics Aeronautical Systems Inc., Poway, California, was awarded an $84,838,567 modification (P00100) to contract W58RGZ-12-C-0075 for Gray Eagle performance-based logistics product support for Block 1 program of record and quick reaction capability. Work will be performed in Poway, California, with an estimated completion date of Oct. 23, 2015. Fiscal 2014 and 2015 operations and maintenance (Army) and other procurement funds in the amount of $84,838,567 were obligated at the time of the award. Army Contracting Command Redstone Arsenal, Alabama, is the contracting activity. Advanced Mission Systems Charlotte, North Carolina (W15QKN-15-D-0033); Barbaricum LLC,* Washington, District of Columbia (W15QKN-15-D-0034); Black Tree Group LLC*, Oldsmar, Florida (W15QKN-15-D-0035); METIS Solutions LLC,* Alexandria, Virginia (W15QKN-15-D-0036); Bethesda, Maryland (W15QKN-15-D-0037); Silverback7 Inc.,* Woodbridge, Virginia (W15QKN-15-D-0038); Universal Strategy Group Inc.,* Franklin, Tennessee (W15QKN-15-D-0039); and WinTec Arrowmaker Inc.,* Fort Washington, Maryland (W15QKN-15-D-0041), were awarded a $48,000,000 firm-fixed-price, multiple award indefinite-delivery/indefinite-quantity contract for special warfare technical support. Contractors will share capacity. Funding and work location will be determined with each order with an estimated completion date of May 6, 2020. Bids were solicited via the Internet with 13received. Army Contracting Command, Picatinny Arsenal, New Jersey, is the contracting activity. RQ Construction LLC, Carlsbad, California, was awarded a $45,104,149 firm-fixed-price contract to construct a Special Operations Battalion operations facility at Joint Base Lewis-McChord, Washington, with an estimated completion date of May 2, 2017. Bids were solicited via the Internet with two received. Fiscal 2012 and 2013 military construction funds in the amount of $45,104,149 were obligated at the time of the award. Army Corps of Engineers, Seattle, Washington, is the contracting activity (W912DW-15-C-0006). L-3 Communications Corp., Wilmington, Massachusetts, was awarded a $28,922,000 modification (P00003) to contract W911QX-14-C-0049 for new work modification to incorporate contract line item 0005, known as the Wide Area 6-Degree Payload build and test phase. Work will be performed in Wilmington, Massachusetts, with an estimated completion date of Aug. 31, 2016. Fiscal 2015 research, development, testing and evaluation funds in the amount of $15,440,258 were obligated at the time of the award. Army Contracting Command, Adelphi, Maryland, is the contracting activity. Airbus Defense and Space Inc., Herndon, Virginia, was awarded a $24,012,980 modification (P00878) to multi-year contract W58RGZ-06-C-0194 for mission equipment packages to be cut into the Lakota Helicopter production line as part of the Army Aviation Restructure Initiative for training aircraft. Work will be performed in Columbus, Mississippi, with an estimated completion date of July 31, 2017. Fiscal 2014 and 2015 other procurement (Army) funds in the amount of $ 24,012,980 were obligated at the time of the award. Army Contracting Command, Redstone Arsenal, Alabama, is the contracting activity. Alsom Power Inc., Littleton, Colorado, was awarded an $18,830,519 firm-fixed-price contract with options for the design and manufacture of stator laminations and winding and accessories for the Carters Pumped Storage Facility. Work will be performed in Chatsworth, Georgia, with an estimated completion date of June 30, 2017. Bids were solicited via the Internet with five received. Fiscal 2015 other procurement funds in the amount of $3,056,367 were obligated at the time of the award. Army Contracting Command, Redstone Arsenal, Alabama, is the contracting activity (W91278-15-C-0007). AAI-Textron Systems, Hunt Valley, Maryland, was awarded an $11,512,123 modification (P00025) to foreign military sales (Afghanistan) contract W58RGZ-13-C-0016 for logistics support for a six-month bridge extension effort. Work will be performed in Hunt Valley, Maryland, with an estimated completion date of Nov. 7, 2015. Fiscal 2015 operations and maintenance (Army) and other procurement funds in the amount of $7,491,815 were obligated at the time of the award. Army Contracting Command, Redstone Arsenal, Alabama, is the contracting activity. Tullahoma Industries LLC,* Tullahoma, Tennessee, has been awarded a maximum $59,389,738 modification (P00127) exercising the second one-year option period of a one-year base contract (SPM1C1-13-D-1050) with four one-year option periods for various permethrin trousers. This is a firm-fixed-price, indefinite-delivery/indefinite-quantity contract. Locations of performance are Tennessee, Alabama, North Carolina and Puerto Rico, with a May 6, 2016, performance completion date. Using military service is Army. Type of appropriation is fiscal 2015 through fiscal 2016 defense working capital funds. The contracting activity is the Defense Logistics Agency Troop Support, Philadelphia, Pennsylvania. Pima Valve Inc.,* Chandler, Arizona, has been awarded a maximum $7,655,805 firm-fixed-price, indefinite-delivery/indefinite-quantity contract for Navy standard valves. This contract was a competitive acquisition, and three responses were received. This is a three-year base contract with two one-year option periods. Location of performance is Arizona with a May 5, 2018, performance completion date. Using military service is Navy. Type of appropriation is fiscal 2015 through fiscal 2018 defense working capital funds. The contracting activity is the Defense Logistics Agency Land and Maritime, Mechanicsburg, Pennsylvania (SPRMM1-15-D-Y008). Hamill Manufacturing Co.,** Trafford, Pennsylvania, has been awarded a maximum $6,608,140 firm-fixed-price contract for air barrel assembly in support of aircraft launch and recovery equipment. This contract was a competitive acquisition, and two responses were received. This is four-year base contract with no option years. Location of performance is Pennsylvania, with an Oct. 31, 2019, performance completion date. Using military service is Navy. Type of appropriation is fiscal 2015 through fiscal 2020 Navy working capital funds. 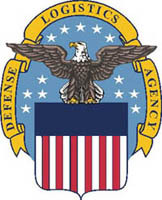 The contracting activity is the Defense Logistics Agency Aviation, Philadelphia, Pennsylvania (SPRPA1-15-C-Z041). Raytheon Co., McKinney, Texas, was awarded a $26,990,015 cost-plus-fixed-fee, indefinite-delivery/indefinite-quantity contract to update and configure Block 0 Long Range Advanced Scout Surveillance System (LRAS3) sight sensors to the Block 1 Netted LRAS3 sight sensor, configuration of up to 100 LRAS3 units. Funding and work location will be determined with each order with an estimated completion date of May 4, 2017. Bids were solicited via the Internet with one received. Army Contracting Command, Alexandria, Virginia, is the contracting activity (W909MY-15-D-0006. Quantitech Inc.,*** Huntsville, Alabama, was awarded a $9,999,908 firm-fixed-price contract to procure systems engineering, test and evaluation, and computer resources supporting the Counter-Rocket, Artillery, Mortar Program Directorate (C-RAM) in Iraq and Afghanistan with capability integration with the Air and Missile Defense Planning and Control System. Work will be performed in Huntsville, Alabama, with an estimated completion date of May 5, 2016. Bids were solicited via the Internet with one received. Fiscal 2015 operations and maintenance (Army) funds in the amount of $9,999,908 were obligated at the time of the award. Army Corps of Engineers, Huntsville, Alabama, is the contracting activity (W912DY-15-F-0066). Arrowpoint Corp.,*** Alexandria, Virginia, was awarded a $7,779,851 firm-fixed-price contract with options for the Reserve Component Manpower System Suite. Work will be performed in Arlington, Virginia, with an estimated completion date of May 10, 2020. Bids were solicited via the Internet with seven received. Fiscal 2015 operations and maintenance (Army) funds in the amount of $7,779,851 were obligated at the time of the award. Army Contracting Command is the contracting activity (W9133L-15-F-0011). Commercial Service of Bloomington Inc.,*** Bloomington, Indiana (N40085-15-D-7912); Custom Mechanical Systems Corp., Bargersville, Indiana (N40085-15-D-7913); Harrell Contracting Inc.,*** Worthington, Indiana (N40085-15-D-7914); Mastercraft Mechanical Contractors Inc.,*** Bloomington, Indiana (N40085-15-D-7915); and Siemens Government Technologies Inc., Arlington, Virginia (N40085-15-D-7916), are each being awarded an indefinite-delivery/indefinite-quantity multiple award construction contract for mechanical construction projects at the Naval Support Activity, Crane, and the Glendora Test Facility. The maximum dollar value including the base period and four option years for all five contracts combined is $20,000,000. The work to be performed provides for all labor, equipment, tools, supplies, transportation, supervision, quality control, professional design services, and management necessary to perform various heating, ventilation, and air conditioning (HVAC) construction, renovation, and maintenance design build or design-bid-build projects at assorted buildings and structures. Work includes but is not limited to design, general construction, alteration, repair, demolition, and work performed by special trades. 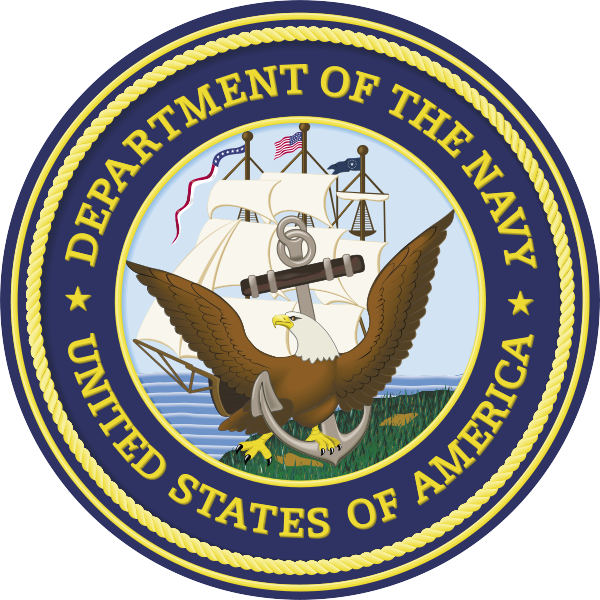 Commercial Service of Bloomington, Inc. is being awarded task order 0001 at $856,000 for the Naval Surface Warfare Center Building 3235 HVAC renovation at the Naval Support Activity, Crane, Indiana. Work for this task order is expected to be completed by February 2016. All work on this contract will be performed in Crane, Indiana (95 percent), and Sullivan, Indiana (5 percent). The term of the contract is not to exceed 60 months, with an expected completion date of May 2020. Fiscal 2015 working capital funds (Navy and Army) in the amount of $936,000 are being obligated on this award and will expire at the end of the current fiscal year. This contract was competitively procured via the Federal Business Opportunities website, with eight proposals received. These five contractors may compete for task orders under the terms and conditions of the awarded contract. The Naval Facilities Engineering Command, Mid-Atlantic, Norfolk, Virginia, is the contracting activity. United Technologies Corp., Pratt & Whitney, Military Engines, East Hartford, Connecticut, is being awarded a $7,643,131 fixed-price-incentive firm target modification to a previously awarded advanced acquisition contract (N00019-13-C-0016) for long-lead items for low-rate initial production (LRIP) Lot X. The long-lead items include group hardware supporting the LRIP Lot X delivery of conventional take off and landing (CTOL) propulsion systems for the Air Force, group hardware supporting the LRIP Lot X delivery of CTOL, carrier variant propulsion systems for the Navy/Marine Corps, and group hardware supporting the LRIP Lot X delivery of short take-off and vertical landing propulsion systems for the Marine Corps. Work will be performed in East Hartford, Connecticut (67 percent); Indianapolis, Indiana (26.5 percent); and Bristol, United Kingdom (6.5 percent), and is expected to be completed in February 2017. Fiscal 2015 aircraft procurement (Air Force and Navy) funds in the amount of $7,643,131 will be obligated at time of award, none of which will expire at the end of the current fiscal year. This contract combines purchases for the Navy ($7,444,443; 97.4 percent), and the Air Force ($198,688; 2.6 percent). The Naval Air Systems Command, Patuxent River, Maryland, is the contracting activity. L-3 Communications IEC, Anaheim, California, has been awarded an $18,207,336 modification (P00029) to previously awarded contract FA8807-12-C-0011 for military Global Positioning System (GPS) user equipment (MGUE). Contractor will accelerate the MGUE program through the addition of pre-prototype receiver card deliveries and test support activities to enable faster fielding of M-Code capable GPS receivers to the warfighter. Work will be performed at Anaheim, California, and is expected to be complete by Sept. 30, 2016. Fiscal 2014 and 2015 research, development, test and evaluation funds in the amount of $8,266,297 are being obligated at the time of award. Space and Missile Systems Center, Los Angeles Air Force Base, California, is the contracting activity. Sybrant Construction LLC,* Phoenix, Arizona (N62473-15-D-2436); M&M,* Tempe, Arizona (N62473-15-D-2437); Anderson Burton Construction Inc.,* Arroyo Grande, California (N62473-15-D-2438); and Bristol General Contractors LLC,* Anchorage, Alaska (N62473-15-D-2439), are each being awarded a firm-fixed-price, indefinite-delivery/indefinite-quantity multiple award 8(a) set-aside construction contract for new construction, renovation, and repair of general building construction at various locations within the Naval Facilities Engineering Command (NAVFAC) Southwest area of responsibility (AOR). The maximum dollar value including the base period and four option years for all four contracts combined is $99,000,000. Types of projects may include, but are not limited to: administration buildings, school buildings, hospitals, auditoriums, fire stations, gymnasiums, office buildings, hangars, laboratories, and parking structures. No task orders are being issued at this time. These four contractors may compete for task orders under the terms and conditions of the awarded contracts. Work will be performed within the NAVFAC Southwest AOR including, but not limited to, California (90 percent), Arizona (6 percent), Nevada (1 percent), Colorado (1 percent), Utah (1 percent), and New Mexico (1 percent). The terms of the contracts are not to exceed 60 months, with an expected completion date of May 2020. Fiscal 2015 operation and maintenance (Navy) contract funds in the amount of $20,000 are obligated on this award and will expire at the end of the current fiscal year. This contract was competitively procured as an 8(a) set-aside for firms with a bona fide place of business with the respective jurisdictions of the Small Business Administration district offices in California, Arizona, Nevada, Utah, Colorado, and New Mexico, via the Federal Business Opportunities website with 46 proposals received. The Naval Facilities Engineering Command, Southwest, San Diego, California, is the contracting activity. SupplyCore,* Rockford, Illinois, has been awarded a maximum $60,000,000 firm-fixed-price, indefinite-delivery/indefinite-quantity contract. This was a competitive acquisition and seven responses were received. This is a five-year base contract with no option years for maintenance, repair and operations for the Alaska region. Location of performance is Illinois with a May 4, 2020, performance completion date. Using military services are Army, Navy, Air Force, Marine Corps and federal civilian agencies. Type of appropriation is fiscal 2015 through fiscal 2020 defense working capital funds. The contracting activity is the Defense Logistics Agency Troop Support, Philadelphia, Pennsylvania (SPM8E3-15-D-0029). Applied Research Associates Inc., Albuquerque, New Mexico (W911QX-15-D-0004); Booz Allen Hamilton Inc., McLean, Virginia (W911QX-15-D-0005); Calnet Inc.,* Reston, Virginia (W911QX-15-D-0006); EOIR Technologies Inc.,* Aberdeen Proving Ground, Maryland (W911QX-15-D-0007); Imperatis Corp.,* Arlington, Virginia (W911QX-15-D-0008); Integration Innovation Inc.,* Huntsville, Alabama (W911QX-15-D-0009; and Leidos Inc., Reston, Virginia (W911QX-15-D-0010), were awarded a $49,937,742 multi-year order dependent contract for persistent surveillance – intelligence surveillance and reconnaissance concepts research and development with a five year ordering period. Funding and work location will be determined with each order with an estimated completion date of May 4, 2020. Bids were solicited via the Internet with eight received. Army Contracting Command, Adelphi, Maryland, is the contracting activity. Scientific Research Corp., Atlanta, Georgia, was awarded a $49,815,000 cost-plus-fixed-fee contract to support the operations and maintenance of the ground threat system at the Joint Pacific Alaska Range Complex, Eielson Air Force Base, Alaska, with an estimated completion date of May 4, 2020. Funding and work location will be determined with each order. Bids were solicited via the Internet with two received. Army Program Executive Office Simulation, Training, and Instrumentation, Orlando, Florida, is the contracting activity (W900KK-15-D-0005). Jacobs Engineering Group Inc., Ft. Worth, Texas, was awarded a $13,000,000 firm-fixed-price indefinite-delivery/indefinite-quantity contract with options for architectural and engineering studies, analysis and design of military and civil works projects within Northwestern Division, Army Corps of Engineers. Funding and exact work location will be determined with each order. Bids were solicited via the Internet with 20 received. Army Corps of Engineers, Omaha, Nebraska, is the contracting activity (W9128F-15-D-0004). Applied Research Associates Inc., Albuquerque, New Mexico, has been awarded an $18,845,422 cost-plus-fixed-fee contract. The contractor will provide research and development for the Air Force Civil Engineer Center in the development and evaluation of enhanced and emerging technologies under robotics and automation. Work will be performed at Tyndall Air Force Base, Florida, and is expected to be complete by April 30, 2020. This award is the result of a competitive acquisition with seven offers received. Fiscal 2015 research and development funds in the amount of $450,000 are being obligated at the time of award. The 325th Contracting Squadron, Tyndall Air Force Base, Florida, is the contracting activity (FA4819-15-C-0002). The Boeing Co., Seattle, Washington, is being awarded an $118,148,562 modification to a previously awarded firm-fixed-price contract (N00019-12-C-0112) for the procurement of training systems and training materials in support of the P-8A Multi-mission maritime aircraft for the Navy and the government of Australia. This modification provides for the procurement of two operational flight trainers (OFTs), two weapons tactics trainers (WTTs), and upgrades to the existing training system support center (TSSC) for the Navy. In addition, this modification provides for the installation of two OFTs, two WTTs, one part task trainer, and one TSSC; the procurement and installation of six electronic classrooms, 26 mission station desktop trainers, and 32 flight mission system trainers; and the procurement of Royal Australian Air Force courseware, training and interim support for the government of Australia under a memorandum of understanding. Work will be performed in Whidbey Island, Washington (52 percent); St. Louis, Missouri (34 percent); and Edinburgh, Australia (14 percent), and is expected to be completed in June 2019. This modification combines purchase for the Navy ($92,207,908; 78 percent) and the government of Australia ($25,940,654; 22 percent). Fiscal 2013 and 2014 aircraft procurement (Navy) and international partner funds in the amount of $118,148,562 are being obligated on this award, $76,186,834 of which will expire at the end of the current fiscal year. The Naval Air Warfare Center Training Systems Division, Orlando, Florida, is the contracting activity. Vigor Industrial LLC, Portland, Oregon, is being awarded an $11,979,903 firm-fixed-price contract for the regular overhaul and dry docking of USNS Richard E. Byrd (T-AKE 4). The contract includes options which, if exercised, would bring the total contract value to $12,126,316. Work will be performed in Portland, Oregon, and is expected to be completed by July 1, 2015. Fiscal 2015 maintenance and repair contract funds in the amount of $12,126,316 are obligated at the time of award and will not expire at the end of the current fiscal year. This contract was competitively procured, with proposals solicited via the Federal Business Opportunities website, with two offers received. The Navy’s Military Sealift Command, Washington, District of Columbia, is the contracting activity (N32205-15-C-3013). Shell Marine Products US, Houston, Texas, is being awarded an $11,107,442 modification under a previously awarded indefinite-delivery/indefinite-quantity contract with firm-fixed-price delivery orders (N00033-13-D-8020) to exercise a one-year option for the supply and related services of lubricant oil products for the Engineering Directorate of the Military Sealift Command and other government agencies in need of lubricant oil supplies and related services. Work will be performed worldwide and work is expected to be completed May 2016. If all options are exercised, work will continue through May 2018. Working capital contract funds in the amount of $11,107,442 are being obligated at the time of award. Contract funds will expire at the end of the current fiscal year. The Navy’s Military Sealift Command, Washington, District of Columbia, is the contracting activity. Triton Marine Construction Corp., Bremerton, Washington, is being awarded $9,923,450 for firm-fixed-price task order 0003 under a previously awarded multiple award construction contract (N44255-14-D-9007) for the construction of the integrated drydock water treatment system at Puget Sound Naval Shipyard. The work to be performed provides for the construction of the infrastructure necessary at Dry Docks 1, 2 and 5 to bring the shipyard into compliance with current environmental standards for the collection and treatment of industrial process water. Work will be performed in Bremerton, Washington, and is expected to be completed by October 2016. Fiscal 2015 military construction (Navy) contract funds in the amount of $9,923,450 are obligated on this award and will not expire at the end of the current fiscal year. Four proposals were received for this task order. The Naval Facilities Engineering Command, Northwest, Silverdale, Washington, is the contracting activity. Oshkosh Defense, Oshkosh, Wisconsin, is being awarded $8,910,254 for firm-fixed-price delivery order 0021 under an existing indefinite-delivery/indefinite-quantity contract for the purchase of 13 low-rate initial production vehicles and vehicle federal retail excise tax. Work will be performed in Oshkosh, Wisconsin, and is expected to be completed by Jan. 31, 2017. Fiscal 2015 procurement (Marine Corps) funds in the amount of $8,910,254 will be obligated at the time of award and will not expire at the end of the current fiscal year. This contract was competitively procured via the Federal Business Opportunities website, with three offers received. The Marine Corps Systems Command, Quantico, Virginia, is the contracting activity (M67854-13-D-0214). Burr-MZT JV,* San Clemente, California, is being awarded $8,776,000 for firm-fixed-price task order 0008 under a previously awarded multiple award construction contract (N44255-13-D-8012) for replacement of diesel generator controls and switchgear at Naval Base Kitsap – Bremerton. The work to be performed provides for replacement of existing switchgear with new modernized switchgear and demolition and replacement of generators. Work will be performed in Bremerton, Washington, and is expected to be completed by November 2016. Fiscal 2015 working capital funds (Navy) contract funds in the amount of $8,776,000 are obligated on this award and will not expire at the end of the current fiscal year. Three proposals were received for this task order. The Naval Facilities Engineering Command, Northwest, Silverdale, Washington, is the contracting activity. Mercury Systems Inc., Chelmsford, Massachusetts, is being awarded a $7,132,822 indefinite-delivery/indefinite-quantity, firm-fixed-price contract for bus controllers, precision direction finding synthesizers, PDF tuners, eight-channel digital receivers, four-channel digital receivers, and clock generator versa module eurobus cards. These components will be used as spares during the installation of the AN/SLQ-32(V)6 electronic countermeasure system on Navy and Coast Guard ships. The AN/SLQ-32(V)6 was developed as part of the Navy’s Surface Electronic Warfare Improvement Program, which is an upgrade to the AN/SLQ-32 electronic warfare anti-ship missile defense system. Work will be performed in Chelmsford, Massachusetts, and is expected to complete by May 2020. Fiscal 2015 other procurement (Navy) funding in the amount of $1,115,110 will be obligated at time of award and will not expire at the end of the current fiscal year. This contract was not competitively procured in accordance with FAR 6.302-1 – only one responsible source and no other supplies or services will satisfy agency requirements. The Naval Surface Warfare Center, Crane, Division, Crane, Indiana, is the contracting activity (N00164-15-D-WM75). Harris Pharmaceuticals Inc.,* Fort Myers, Florida, has been awarded a maximum $55,913,776 fixed-price with economic price adjustment, indefinite-delivery/indefinite-quantity contract for pharmaceutical products. This contract was a competitive acquisition, and 32 responses were received. This is a one-year base contract with seven one-year option periods; the maximum dollar amount is for the life of the contract. Location of performance is Florida with a May 3, 2016, performance completion date. Using military services are Army, Navy, Air Force, Marine Corps and federal civilian agencies. Type of appropriation is fiscal 2015 Warstopper funds. The contracting activity is the Defense Logistics Agency Troop Support, Philadelphia, Pennsylvania, (SPE2D0-15-D-0002). TurboCombustor Technology Inc., Stuart, Florida, has been awarded a maximum $9,789,045 firm-fixed-price contract for aircraft parts. This was a sole-source contract. This is a two-year base contract with no option years. Location of performance is Florida with a May 3, 2017, performance completion date. Using military service is Air Force. Type of appropriation is fiscal 2015 through fiscal 2017 defense working capital funds. The contracting activity is the Defense Logistics Agency Aviation, Richmond, Virginia (SPE4A7-15-C-0277). General Dynamics Land Systems Inc., Sterling Heights, Michigan, has been awarded a maximum $7,585,022 firm-fixed-price contract for electronic components. This was a sole-source contract. This is a one-year base contract with an option that was exercised at the time of award. Location of performance is Michigan with a Sept. 4, 2017, performance completion date. Using military service is Army. Type of appropriation is fiscal 2016 through fiscal 2017 Army working capital funds. The contracting activity is the Defense Logistics Agency Land and Maritime, Warren, Michigan (SPRDL1-15-C-0060). USfalcon Inc., Morrisville, North Carolina, has been awarded a $41,917,346 cost-plus-fixed-fee contract for advisory and assistance services. Contractor will provide management and professional services, engineering, technical services and other contract requirements in support of the KC-46 division and the legacy tanker (KC-135/KC-10) division. Work will be performed at Wright-Patterson Air Force Base, Ohio; Tinker Air Force Base, Oklahoma; and Seattle, Washington, and is expected to be complete by May 31, 2020. This award is the result of a competitive acquisition among General Services Administration OASIS Pool 6 with three offers received. Fiscal 2015 research, development, test and evaluation; aircraft procurement and operations and maintenance funds in the amount of $6,274,854 are being obligated at the time of award. Air Force Life Cycle Management Center, Wright-Patterson Air Force Base, Ohio, is the contracting activity (FA8622-15-F-8104). Alliant Techsystems Inc., Fort Worth, Texas, has been awarded a $14,173,202 modification (P00062) to firm-fixed-price and cost-plus-fixed-fee undefinitized contract action for contractor logistic support for the Iraqi Air Force’s Cessna 208B fleet. Contract provides for request to return to original performance location and the ongoing security situation in the host country. Work will be performed in Iraq and is expected to be complete by Dec. 31, 2015. This contract is 100 percent foreign military sales to Iraq. Air Force Life Cycle Management Center, Tinker Air Force Base, Oklahoma, is the contracting activity (FA8106-10-C-0010). A-T Solutions, Fredericksburg, Virginia, was awarded a $24,477,700 modification (P00009) to contract W911S0-13-C-0009 to exercise the second option for Asymmetric Warfare Group (AWG) operations support requirement. The contractor provides personnel, expertise, and skills required to support AWG’s mission to observe, analyze, train, and advise Army and Joint Forces worldwide to successfully predict, mitigate, counter, and defeat asymmetric and emerging hybrid threats. Work will be performed at Ft. Meade, Maryland, with an estimated completion date of June 14, 2016. Fiscal 2015 operations and maintenance (Army) and other procurement funds in the amount of $24,477,700 were obligated at the time of the award. Army Contracting Command, Ft. Eustis, Virginia, is the contracting activity. Sawdey Solution Services Inc., Beavercreek, Ohio, has been awarded a $51,908,534 cost-plus-fixed-fee contract for advisory and assistance services (A&AS). Contractor will provide A&AS to the Agile Combat Support Directorate at Robins Air Force Base, Georgia. Work will be performed at Wright-Patterson Air Force Base, Ohio; Holloman Air Force Base, New Mexico; and Robins Air Force Base, Georgia, and is expected to be complete by May 31, 2020. This award is the result of a competitive socioeconomic set-aside acquisition among Government Services Administration OASIS Pool 3 service-disabled, veteran-owned small businesses with five offers received. Fiscal 2015 research, development, test and evaluation, procurement, and operations and maintenance funds in the amount of $2,027,320 are being obligated at the time of award. Air Force Life Cycle Management Center, Wright-Patterson Air Force Base, Ohio, is the contracting activity (FA8622-15-F-8108). Linde LLC, Murray Hill, New Jersey, has been awarded a $35,000,000 firm-fixed-price contract for laboratory analytical services. Contractor will provide non-personal services for the processing, separation, and radioassay of atmospheric gas samples for elemental determination of sample components for the purpose of Nuclear Test Ban Treaty verification. Work will be performed at Murray Hill, New Jersey, and is expected to be complete by Sept. 30, 2015. This award is the result of a sole source acquisition with one offer received. Fiscal 2015 operations and maintenance funds in the amount of $2,550,598 are being obligated at the time of award. The 25th Air Force, Joint Base San Antonio – Lackland, Texas, is the contracting activity (FA7022-15-D-0003). UPDATE: Homeland Security Construction, Corp., (FA4814-15-D-0011) Hyattsville, Maryland has been added as an awardee to the maximum $150,000,000 multiple award, construction contract originally announced April 1, 2015. Exelis Inc., Herndon, Virginia, was awarded a $29,500,000 modification (P00096) to contract W91260-12-C-0001 to purchase maintenance and system upgrade services for worldwide satellite communications equipment in support of Army Space and Missile Defense Command and Army Forces Strategic Command. Work will be performed in Colorado Springs, Colorado; Fort Gordon, Georgia; Aberdeen Maryland; Fort Meade, Maryland; Fort Detrick, Maryland; and Wahiawa, Hawaii, with an estimated completion date of July 31, 2019. Fiscal 2015 operations and maintenance (Army) funds in the amount of $1,641,005 were obligated at the time of the award. Army Space and Missile Defense Command, Peterson Air Force Base, Colorado, is the contracting activity. Alliant Techsystsems Operations LLC, Plymouth, Minnesota (W15QKN-15-D-0031); and General Dynamics Ordinance and Tactical Systems, Marion, Illinois (W15QKN-15-D-0032); were awarded a $15,000,000 firm-fixed-price contract for services and supplies in accordance with the statement of work for numerous engineering, manufacturing, design and testing support of medium caliber programs and initiatives. Funding and work location will be determined with each order with an estimated completion date of May 1, 2020. Bids were solicited via the Internet with two received. Army Contracting Command, Picatinny Arsenal, New Jersey, is the contracting activity. Conti Federal Services Inc., Edison, New Jersey, was awarded a $10,200,967 modification (P00003) to foreign military sales (Israel) contract W912GB-13-C-0004 for concrete replacement building improvement. Work will be performed in Tel Aviv, Israel, with an estimated completion date of Nov. 30, 2015. Fiscal 2014 other procurement funds in the amount of $10,200,967 were obligated at the time of the award. Army Contracting Command, Europe District, APO AE, is the contracting activity. BAE Systems Land & Armaments LP, Armament Systems Division, Minneapolis, Minnesota, is being awarded a $27,458,219 firm-fixed-price contract for 6,360 57mm high explosive pre-fragmented, programmable proximity-fuzed cartridges, in order to support the use of the MK 110 MOD 0 gun mount on Navy ships. Work will be performed in Karlskoga, Sweden (86.5 percent); and Camden, Arkansas (13.5 percent); and is expected to be completed by August 2018. Fiscal 2015 procurement of ammunition (Navy, Marine Corps) funding in the amount of $27,458,219 will be obligated at time of award and will not expire at the end of the current fiscal year. This contract was not competitively procured in accordance with FAR 6.302-1(a)(2) – only one responsible source and no other supplies or services will satisfy agency requirements. The Naval Surface Warfare Center, Indian Head Explosive Ordnance Disposal Technology Division, Indian Head, Maryland, is the contracting activity (N00174-15-C-0014). Systems Engineering Associates Corp.,* Middletown, Rhode Island, is being awarded a $19,778,516 indefinite-delivery/indefinite-quantity, cost-plus-fixed-fee contract for engineering services for the continued development of the Extensible Markup Language Test Data Analysis Tool (XTDAS) on all Navy submarines currently deployed. The XTDAS tool provides a portable, adaptable, and cost effective means for collecting, analyzing, verifying, and validating the required combat system data. Work will be performed at Middletown, Rhode Island (30 percent); Newport, Rhode Island (10 percent); Port Canaveral, Florida (10 percent); West Palm Beach, Florida, and Andros Island, Bahamas (10 percent); Groton, Connecticut (5 percent); Kings Bay, Georgia (5 percent); Norfolk, Virginia (4 percent); Manassas Virginia (4 percent); Washington, District of Columbia (4 percent); Newport News, Virginia (2 percent); Pearl Harbor, Hawaii (2 percent); and onboard Naval ships and submarines (14 percent). Work is expected to be completed by May 2020. Fiscal 2015 research, development, test and evaluation funding in the amount of $545,000 will be obligated at time of award, and will not expire at the end of the current fiscal year. This sole source requirement is a Phase III SBIR follow-on contract. A synopsis was posted September 2014 to the government wide point of entry and no inquiries were received. The Naval Undersea Warfare Center – Division Newport, Newport, Rhode Island, is the contracting activity (N66604-15-D-0131). Lockheed Martin Mission Systems and Training, Manassas, Virginia, is being awarded a $15,995,389 indefinite-delivery/indefinite-quantity, cost-plus-fixed-fee contract for technical engineering, life cycle support and repair services of Ohio-class submarine data processing subsystem (DPS) equipment and related systems. The DPS is a “mission critical” legacy subsystem comprised of the DPS UYK-43 hardware computer and its associated software. This effort requires the ability to analyze legacy DPS UYK-43 hardware and software problems, maintain and refurbish legacy DPS UYK-43 hardware computers and DPS UYK-43 software. Work will be performed in Newport, Rhode Island, and is expected to be completed by April 2020. Fiscal 2015 operations and maintenance (Navy) funding in the amount of $230,000 will be obligated at time of award, and will expire at the end of the current fiscal year. This contract was not competitively procured in accordance with 10 U.S.C. 2304(c)(1) – only one responsible source and no other supplies will satisfy agency requirements (FAR 6.302-1). The Naval Undersea Warfare Center Division, Newport, Newport, Rhode Island, is the contracting activity (N66604-15-D-0132). Huntington Ingalls Inc., Newport News, Virginia, is being awarded a $7,600,000 modification to previously awarded contract (N00024-08-C-2110) for onboard repair parts material procurement to support outfitting Gerald R. Ford (CVN 78). This contract action will enable the contractor to procure required spares identified in the “Q” Consolidated Shipboard Allowance List onboard repair parts in advance of contract award to support construction of Gerald R. Ford. Work will be performed in Newport News, Virginia, and is expected to be completed by September 2015. Fiscal 2015 shipbuilding and conversion (Navy) contract funds in the amount of $7,600,000 will be obligated at time of award and will not expire at the end of the current fiscal year. The Supervisor of Shipbuilding, Conversion and Repair, Newport News, Virginia, is the contracting activity. Metrex Research LLC, Middleton, Wisconsin, has been awarded a maximum $7,500,000 fixed-price with economic price adjustment, indefinite-delivery/indefinite-quantity contract for dental equipment to be distributed through the Medical Electronic Catalog Program. This contract was a competitive acquisition, and 74 responses were received. This is a five-year base contract. Location of performance is Wisconsin with an April 30, 2020, performance completion date. Using military services are Army, Navy, Air Force, Marine Corps and federal civilian agencies. Type of appropriation is fiscal 2015 defense working capital funds. The contracting activity is the Defense Logistics Agency Troop Support, Philadelphia, Pennsylvania (SPE2DE-15-D-0014).